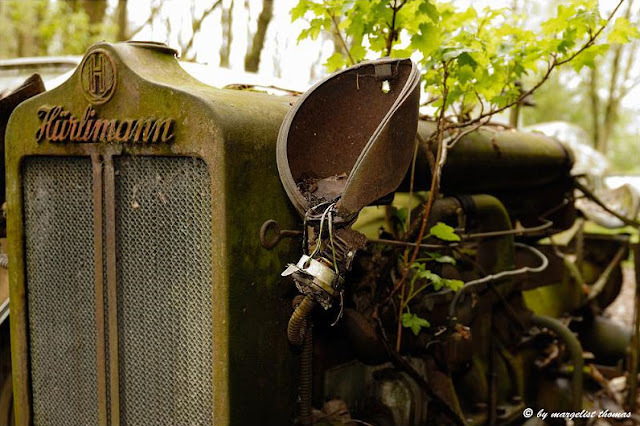 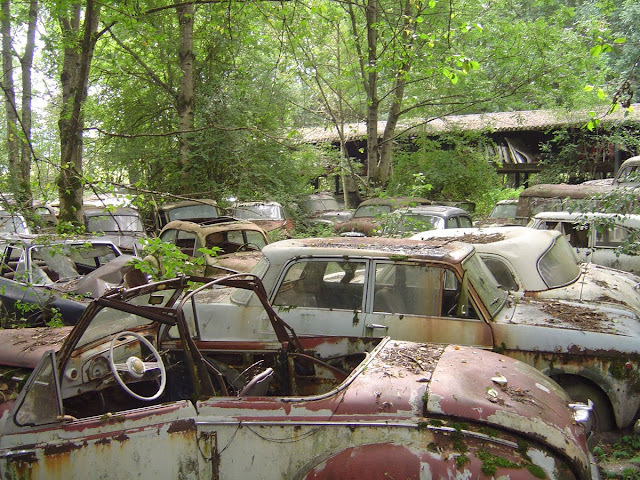 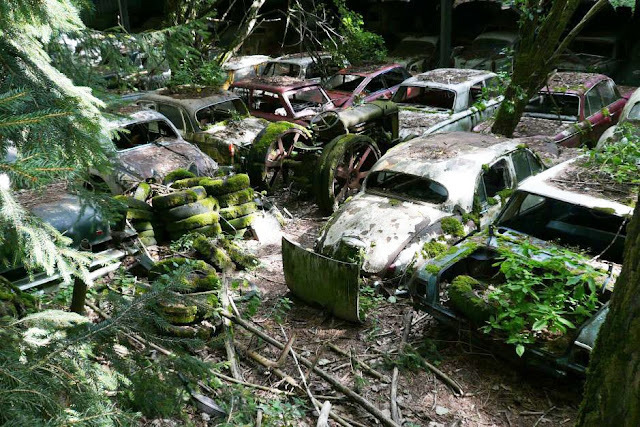 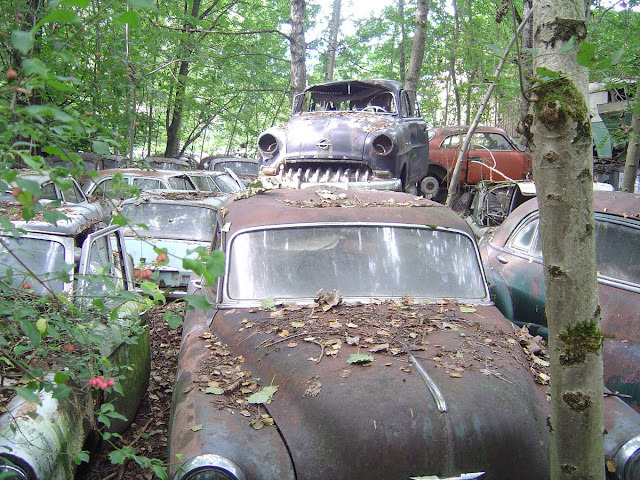 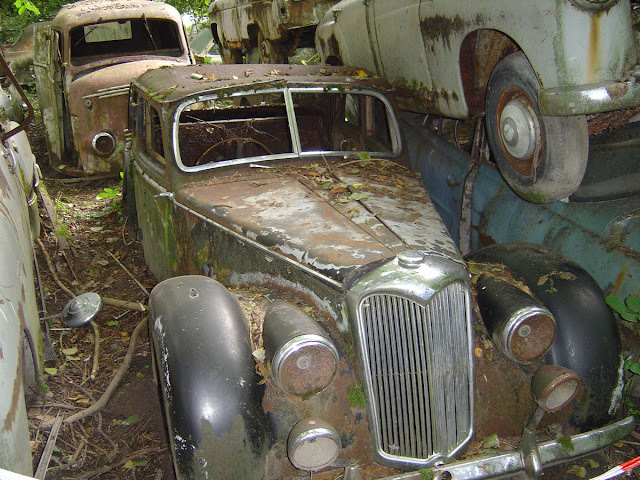 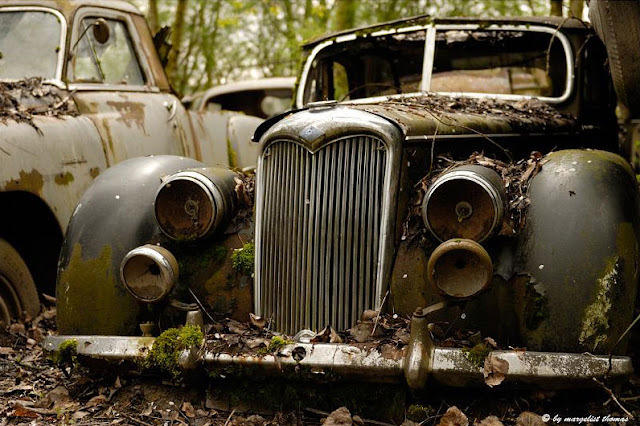 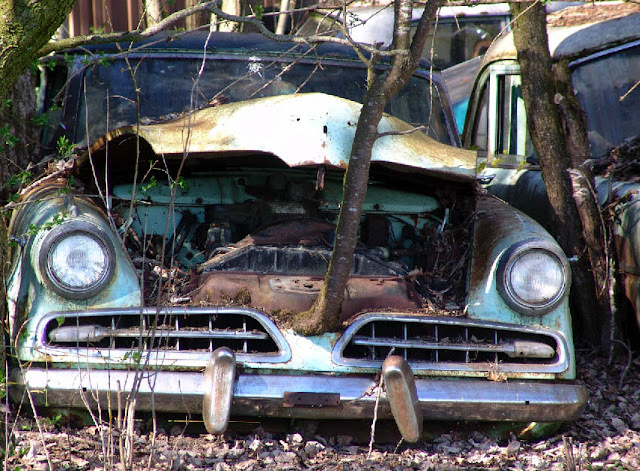 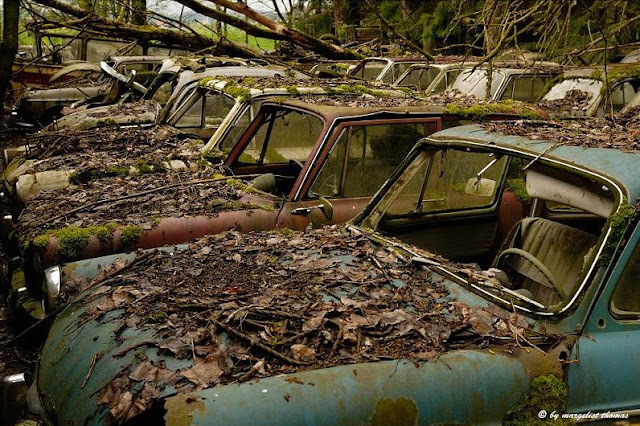 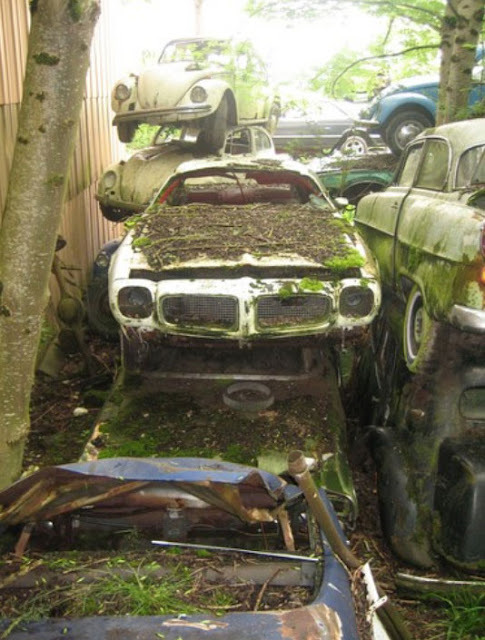 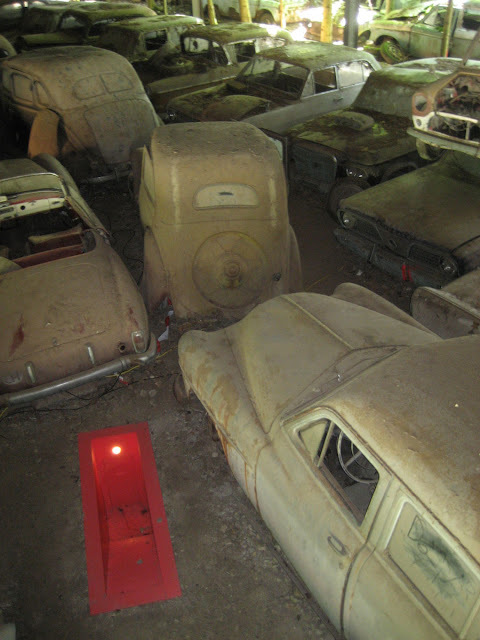 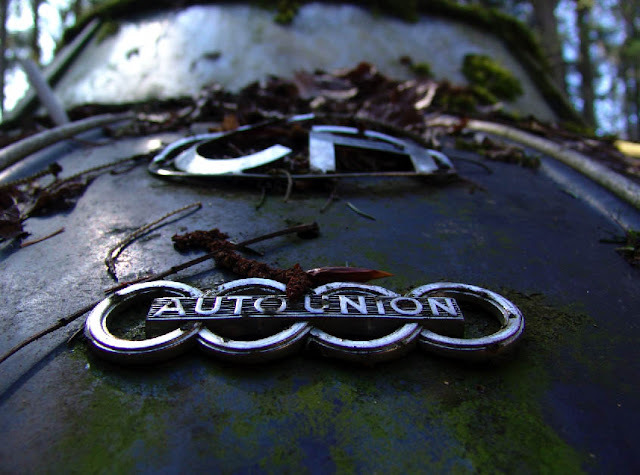 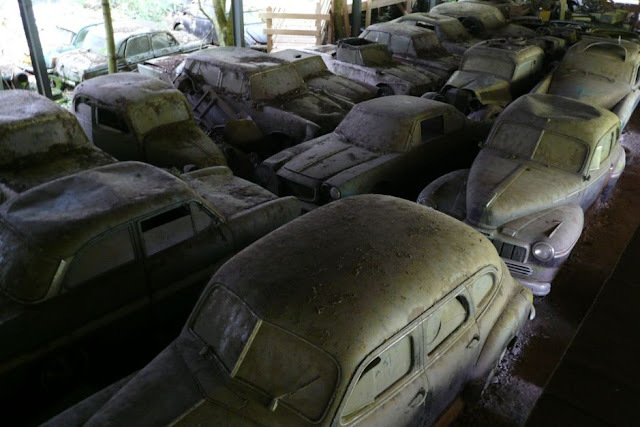 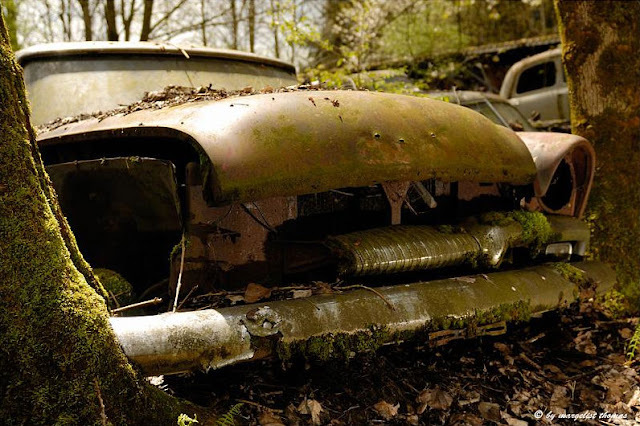 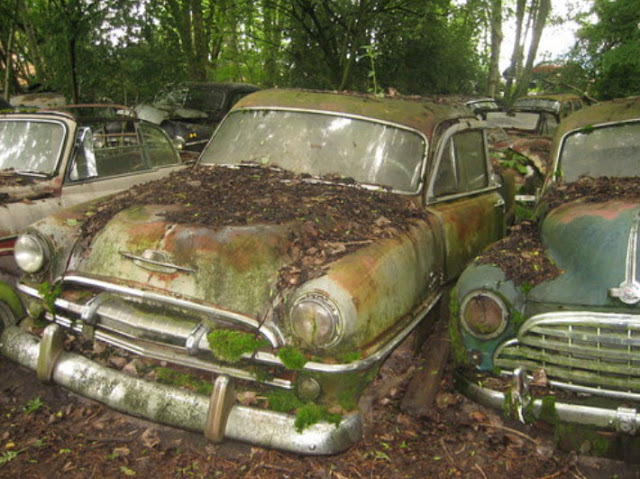 The now overgrown relics were originally bought for their parts by a car dealer who – not wanting to see the vehicles pressed and shredded - parked them cheek by jowl on his lot.The dealer retired in the 1970s and passed the business on to his son, who left the old cars where they were. 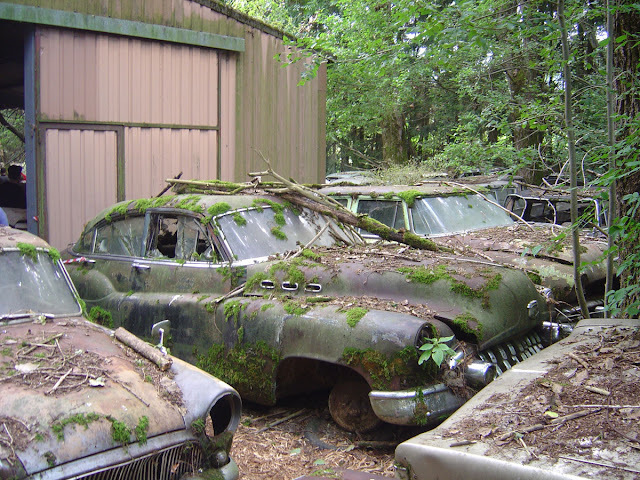 this site will be closed finally this year. 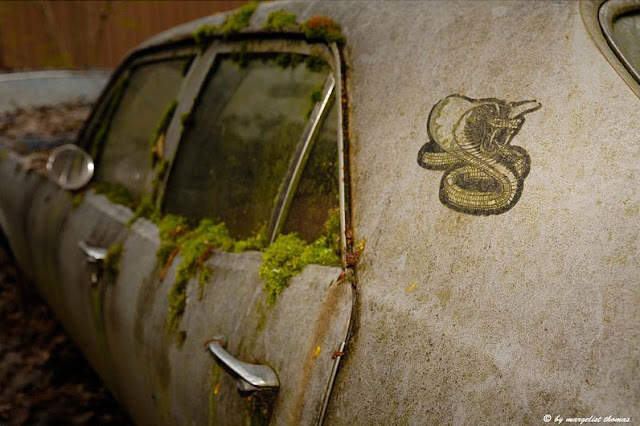 so hurry if you wanna see it.